People figure they need to wait until fall to collect seed. That’s only true for some plants. 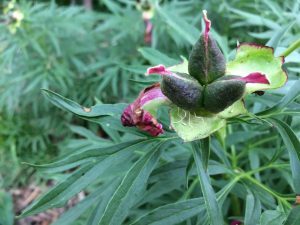 Plants that flower in spring make seed in late spring or early summer. If you don’t collect them now they will have scattered before you know it. 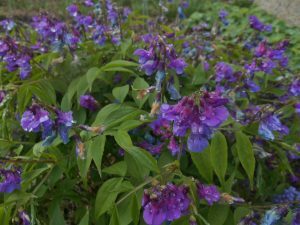 Other spring flowering plants hold onto their seeds for a while – anytime from midsummer to fall. What to do? Watch frequently looking for mature seed – those that have changed color from green to brown. Then catch the brown ones before the wind blows them away, the seed pod springs them out, or they simply drop – all gone. Lathyrus vernus – Spring vetchling, a favorite early flower. 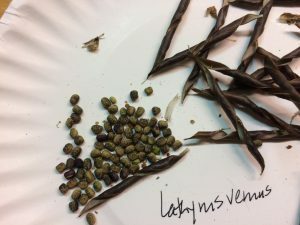 Seeds are ready to burst forth from the pea-like seed pods drying and twisting to fling the seeds out. These are the Spring vetchling seeds collected on Saturday.. Notice the twisted pods. As the pods dry they twist and fling the seeds far away. 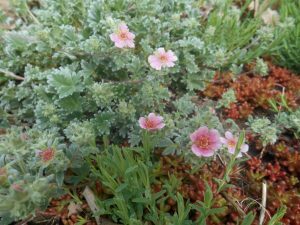 This is one of my favorite rock garden flowers Potentilla porphorantha. 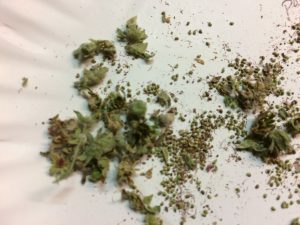 The little dots in the picture are the seeds, again collected on Saturday. The seed of these two plants are ready to plant. 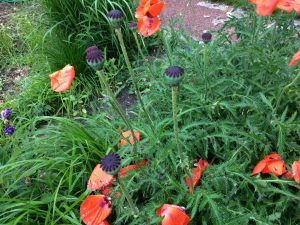 Poppy seeds and Peony seeds are not yet brown – wait to collect them. 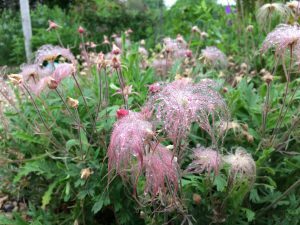 The seeds of early blooming Geum triflorum, Prairie smoke, aptly named, stay on the plant long after the blooms fade adding to the plant’s beauty. Wait to collect them. What can be more fun than watching creation and making more plants?